• A study published in Physical Medicine and Rehabilitation focused on the effect of adding chiropractic care to normal medical care for lower back pain relief. • Chiropractic care was found to decrease lower back pain while improving physical ability. • If you are experiencing lower back pain, adding chiropractic care to your weekly routine can reduce symptoms and improve physical ability. Lower back pain is experienced by 20% of adults in the United States. Not surprisingly, it’s the most common pain-based complaint in doctors’ offices, and it’s considered the leading cause of disability in the country. Nowhere is this truer than in the U.S. military. Lower back pain is the most commonly reported medical complaint among soldiers, and treatments range from simple over-the-counter anti-inflammatories to dangerous treatments that could lead to infection or addiction. 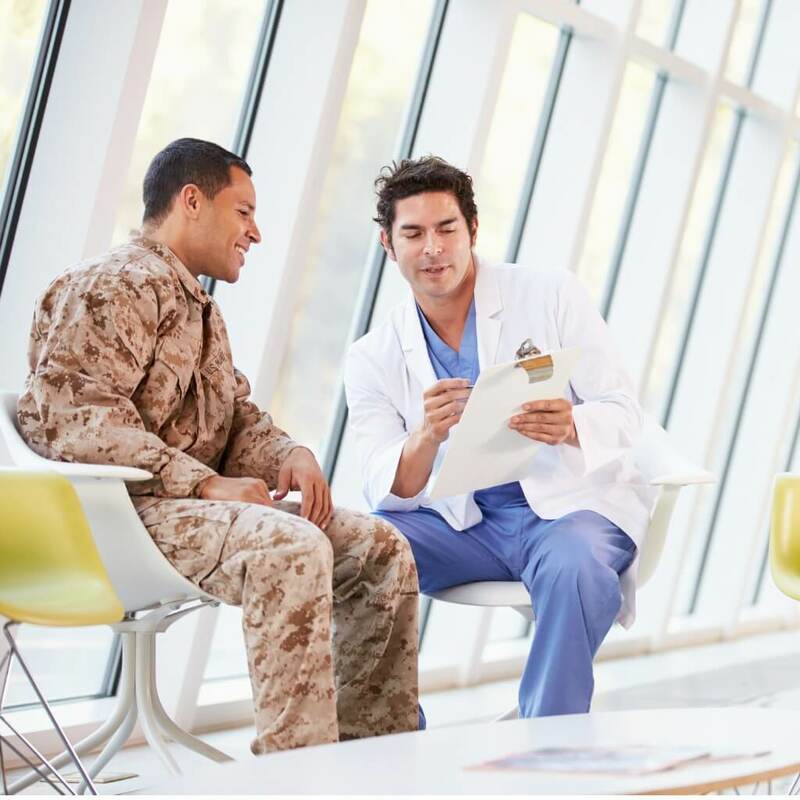 Researchers wanted to find out whether chiropractic adjustments could improve the results of medical care currently being sought by those suffering from back pain in the military. What’s more, the researchers also wanted to see to what degree physical ability independence could be regained and maintained following chiropractic care. 750 patients were divided into two groups: Group A received only usual medical (UMC) for lower back pain while Group B received both UMC and chiropractic care. Group A was allowed to consult with a specialist in physical therapy or chronic pain but was not allowed to receive chiropractic treatments. The patients underwent treatment for six weeks. At the conclusion of the study, patient data was analyzed at weeks 2, 4, and 6. There was also a follow-up at week 12 to see if the benefits of the treatments lasted. Satisfaction with Treatments: Between the two groups, researchers reported that Group B, who received both UMC with chiropractic care, was far happier with the overall treatment than Group A. This could be attributed to the fact that Group B saw more progress and deemed the treatment as effective. Lower Back Pain Intensity: When it comes to the central reason for conducting the study, those in Group B reported a larger decrease in lower back pain when compared to Group A, who only received usual medical care. Pain Medication Used: Group B reported using far less pain medication than Group A during the course of the study. Overall Better Improvement: At the conclusion of the study, it was Group B that had “significantly better global perceived improvement.” In other words, subjects receiving both UMC and chiropractic care had less pain, made better progress in their physical ability, and saw a higher level of improvement overall. Pain Reduction: If you are currently suffering from pain, especially in the lower back, consistent chiropractic adjustments can help reduce the intensity and occurrences. Maintain Physical Independence: Lower back pain is cited as one of the most common reasons for not being physically able to maintain independence. Through chiropractic care, you can significantly reduce your lower back pain, and regain the life you once knew. Activities such as exercise or household chores will no longer seem impossible. Reduce Dependency on Medication: The danger of the opioid crisis in the U.S. is only now being taken seriously. As reported in the study above, consistent chiropractic adjustments and follow-ups can reduce or eliminate the need for pain medication. This can dramatically reduce your risk of addiction to these incredibly dangerous medications. Ready to Schedule Your Chiropractic Appointment? If you’re currently suffering from pain, let us help you. You can schedule an appointment or talk to one of our expert team members to get more information on chiropractic care by calling 773.878.7330.